SPECIAL OFFER: Free entry tonight for kids when accompanied by adult. Previous Meeting: A 4-1 win at Wivenhoe in October kick-started Melford's season. Steve Adams was shifted from defence to attack and scored twice, while Scott Sloots and TJ LePage were also on the scoresheet. Callum Griffiths scored Wivenhoe's goal. Preview: After a hit and miss February, Melford will be striving for more consistency. Wivenhoe are 14 points adrift of safety but will be hoping several recent signings can help produce a strong finish to the season. Jamie Bradbury (Long Melford manager): "The Clacton defeat was all the more disappointing as it came off the back of yet another brilliant result against one of the division’s big boys, ending Histon’s ten-game unbeaten run with a well deserved victory here. Those results and displays have not been one-offs, but we really have to make sure we put that level in every game, particularly when we face sides in our half of the table, like we do tonight. When we travelled to Wivenhoe earlier in the season, we came away with a much-needed victory that has helped push us up the table, and we need to keep plugging away as we have set a new target for ourselves that we are determined to reach. But if we think that tonight will be anything other than tough, then we are in the wrong business. 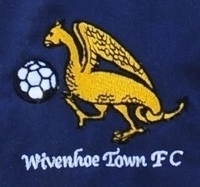 Since the game in October, there have been changes at both clubs, in fact three of Wivenhoe’s team that day are in our squad tonight, so it will add even more spice to Friday Night Football. It certainly promises to be an interesting game and we will work as hard as possible to pick up maximum points, but no doubt our guests will too. "